This is a brilliant way to get the internet to notice you; make your own YouTube kitten video. 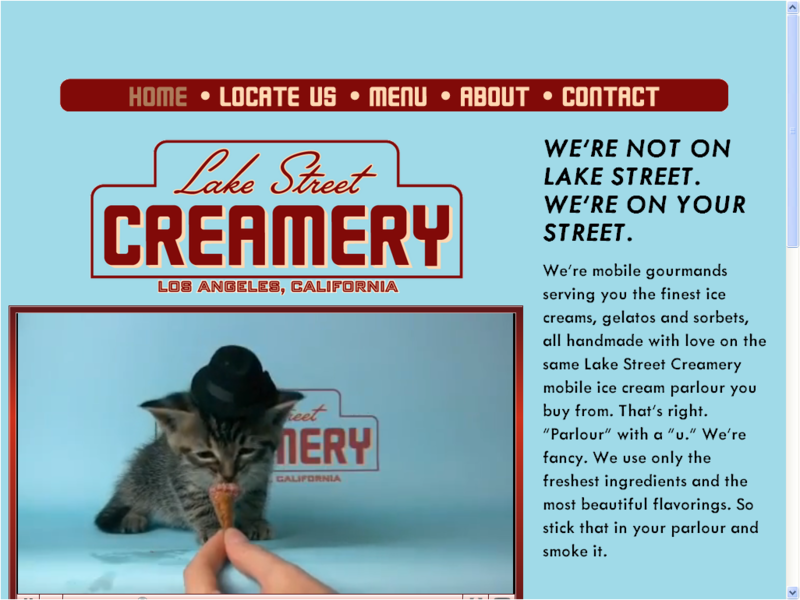 Lake Street Creamery is a food cart in Los Angeles. They make very nice sounding ice cream in the cart, and more around LA selling it, announcing their location on twitter. It's a big trend in LA; the wonderfully named ClusterTruck tracks their locations on a map. 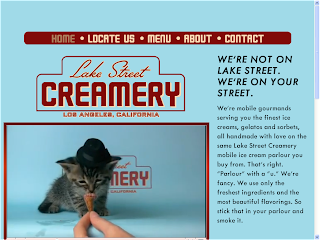 To stand out from this crowd Lake Street have made a video of a kitten, wearing a hat, eating one of their ice creams. It's been on YouTube for 5 days and had nearly 80,000 views so far. They even have out-takes, like this one, put up 2 weeks earlier as a sort of teaser strategy. Well done guys; tipping my (tiny) hat to you!